Improving residences in Fenton, MI, is what the professionals at Husband For A Day do best. Our home remodeling team includes licensed and equipped general contractors, builders, and electricians who can achieve all the remodeling tasks on your wish list. We’ve been in business since 2004, and we’re proud to have earned the Angie's List Super Service Award for six consecutive years. While you're considering working with us, we'll meet at your convenience and discuss the project you have in mind. We'll be up-front about our timeline and costs so that you know exactly what to expect. Remodeling is obviously an important part of our job, but we also believe customer service skills are crucial when working with people. 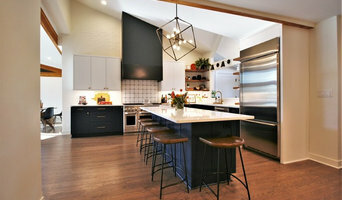 Rely on us if you require: - Home remodeling - Handyman services - A remodeling contractor - A home addition If you’re located in the Greater Fenton area, Husband For A Day is ready to put the skills of an experienced home remodeling team at your disposal. Whether you want to increase the value of your home or make it more functional and comfortable, we look forward to meeting with you. Contact us today to schedule an appointment. Whether it’s an addition or renovation we can produce the most functional space for you. We are equipped to handle any type of repair or renovation, small to large, interior to exterior. For 15 years we have been serving the Grosse Pointe community, metro Detroit and southeast Michigan. Our work includes additions, bathrooms, kitchens, custom carpentry, plumbing, electrical, plaster repair, drywall, windows, patios, decks, roofing, waterproofing, tuck pointing, basements and more. GPH Services' focus is quality workmanship and customer satisfaction whilst maintaining the architectural integrity and appearance of the property. We turn Houses into Homes. It can be intimidating and overwhelming to hire a building professional to advise you on an addition, a remodel or a renovation. Our family understands that. Thirty years ago when we started Haase Construction it was our goal to provide the most professional, accredited building expertise we could to homeowners just like you. Families who were struggling with the decision of moving forward with a project and who to depend on to make their family's vision a reality. We understand. That's why we spend more time than most to help you plan your project and prepare for most every possible eventuality so you end up with exactly what you want and more. We also work with companies to design and build out commercial renovations as well. Click here to view images of some of our commercial projects. We are a licensed and insured business that provides services such as Carpentry, Masonry, Electrical, HVAC, Plumbing, and much much more. We specialize in renovations for Commercial and Residential properties. We have done jobs ranging from unit turn arounds to installing combination A/C units. We have done jobs as small as picking up job sites, to building retainer walls. There's no job we can't get done. 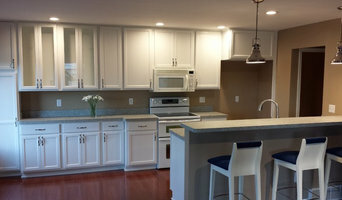 Chinoski Building Group is a remodeling, new construction and handyman company in the metro Detroit area. Our company guarantees clean job sites and friendly service with a warranty on Labor. C.B.G. is a certified and insured, professional company that has been working the Detroit area for nearly 30 years. We serve both residential and commercial properties. Don't trust your construction needs to anyone with a hammer. Chinoski building Group is licensed and insured. We offer a wealth of experience and expertise, at the same prices as inexperienced companies. Robin Cook & Co. is a family owned and operated custom home building company based out of Ann Arbor, Michigan. 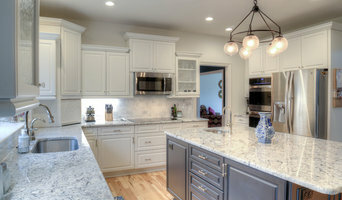 Since 2000, we have been the premier custom home builders in Washtenaw County offering unrivaled service and product. We are there every step of the way, helping you with everything from financing to design. "Doing it right…everyday" is our mantra. We work tirelessly so that every detail is perfectly in-line with your vision. Going above and beyond is simply our way of doing business. Robin has been working in construction for the majority of his life, dedicating his time and talent to perfecting his craft. He has a focused work ethic, making sure the job gets done right the first time ensuring your confidence and peace of mind. Contact us today to express how we can make your vision a reality. We are also big proponents of green building. The majority of our homes use Geo Thermal heat, Energy Star Products, Icynene Insulation, Solar Panels, Green Electrical and much more. Even construction debris goes to recycling. Cutting Edge Construction and Excavation has been serving the Ann Arbor area for the past 16 years. We bring over 50 years of combined home building and excavation experience to our clients. We are a custom home builder that specializes in both high end homes as well as entry level homes. We are a general contractor that can walk you through the process from the ground up. Only subcontracting out the electrical, HVAC, & plumbing of your project, allows us to have full control of the quality and prescribed deadlines of your project. If you can dream it, we can build it!